When one of your bucket list items is “shopping in NYC,” there’s no better place than Times Square. The intersection of Broadway and 7th Avenue is a world within New York. 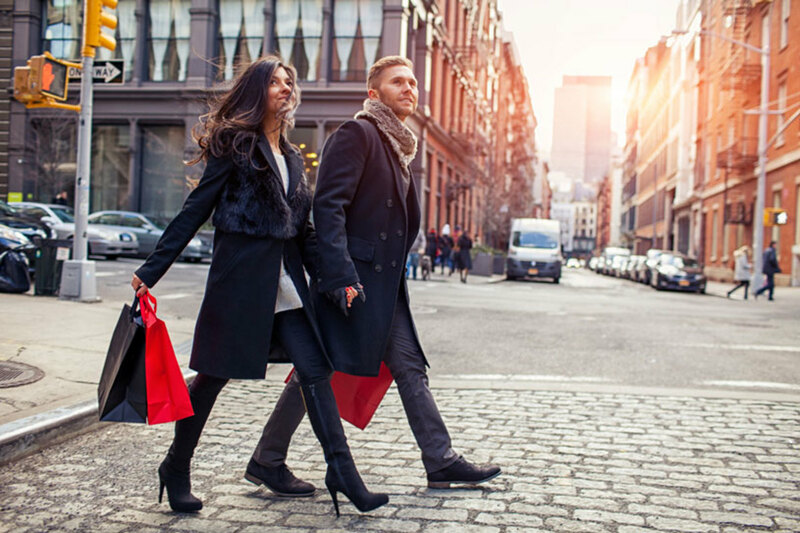 Everything you need to satisfy your retail needs is there, just a few steps from your room at the Manhattan at Times Square! Selling: Fashionable and affordable clothing and accessories for men and women. Selling: A blend of American, British and Japanese styles for men and women. Selling: Casual and trendy styles and accessories for men and women. Selling: Trendy clothing mostly for young women. Selling: Various styles and accessories for the family. Selling: Casual, modern and classic styles for the entire family, including babies! Selling: Timeless and sophisticated casual styles for men and women. Selling: Denim, jackets and accessories for men and women. 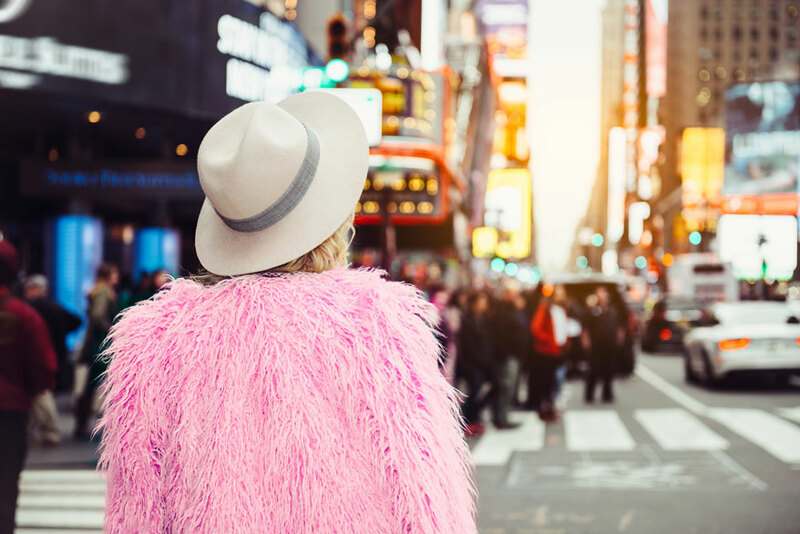 As a major fashion capital of the world, New York will always have the latest trends. Actually, many trends are born in the Big Apple! Following Fashion section of The New York Times will provide you with a cheat-sheet of the most fashionable styles for men and women. But the city also has well-defined seasons, so your options will change depending on when you visit. On that note, if you’re unsure of what to bring on your trip, read our post on what to pack when traveling to New York. Before packing your bags, make sure you have booked a modern room in the heart of New York. Check out the Manhattan at Times Square hotel offers and save big on your trip to NYC!